Discover campsites of Côtes d'Armor France but also over 450 campsites throughout France, offering a variety of rental mobile homes, chalets and accommodation of more atypical as bungalows or caravans, but also leisure facilities such as aquatic areas with sometimes an indoor or well even with heated pool for your comfort, for an unforgettable vacation. Welcome and enjoy your visit in Côtes d'Armor (22) . Campsites in Côtes d'Armor welcome you to your camping holiday 2, 3, 4 and 5 star or LRP. 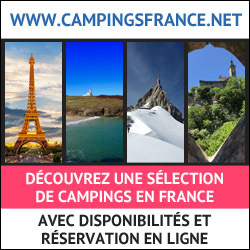 Campsites with recreational facilities (swimming pool, water park, water park, water slides, wading pool, spa, playground, tennis court, multi-sports), entertainment and services (restaurant, bar, food, WiFi access, disabled access, camper services) to make the best of holidays throughout Côtes d'Armor. Traditional camping in Côtes d'Armor on pitches or rental of mobile home camping, campsites below offer the best camping in Côtes d'Armor. Enjoy the outdoor accommodation and campsites in Côtes d'Armor! Rental of mobile homes, chalets, bungalows, cottages, Bengali, cottages, trailers, caravans, tipis and camping sites equipped for your holidays in Côtes d'Armor, our French campgrounds welcome you everywhere in Côtes d'Armor, a favorite camping in Europe. 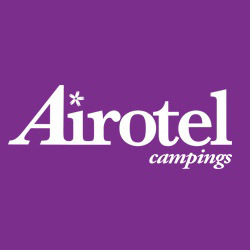 Have a great holiday camping with our campsites in Côtes d'Armor! 216 grassy sites in terraces on a park of 9 hectares, the campsite Le Châtelet***** offers to you a panoramic sight on the sea. For your intimacy our space is arranged in small hamlets. Direct access with two sand beaches end. Coastal path (GR34) at the beginning of the campsite. Heated and covered swimming pool (telescopic shelter), pataugeoire heated. Pond arranged for fishing. Play for the children. Bar with sight on the fort Lalatte, dishes to be carried, grocer, access wifi, animations in peak season for all. Next close to a big beach with choice sand, the camping is surrounded by green hills and offers an exceptional view over the sea. You will be in a quiet place and in harmony with nature! 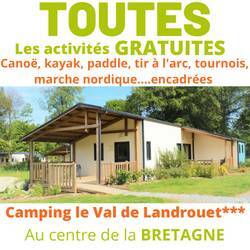 Val de Landrouët campsite is the perfect place to discover Brittany with your family. Restful and quiet, you will enjoy all the activities to do with your family: canoe, kayak, archery, blowpipe, paddle, tennis… a lot of free activities* under the guidance of professionals (more than 40 hours per weeks). You can also go to the intermunicipal swimming pool (free of charge) situated just near the campsite: 4 warmed and watched ponds with slide, sauna and hammam… The children club will receive the youngest (5 – 10 years old) 4 afternoons a week. The quiet, spacious, half shaded pitches will offer you the possibility to spend restful holidays in touch with nature. Organized nights (6 a week) are free entrance: BBQ, concert, bingo, movies, dance night, karaoke. You will easily discover Brittany because of the central position of the Val de Landrouet: Dinan, Dinard, Saint Malo, Perros Guirec, Carnac, Golfe du Morbihan, Brocéliande forest, Brittany coast, Mont Saint Michel. *Free of charge if you rent a gite or a mobile home between july and august. From 3€ the activity if you book pitch. 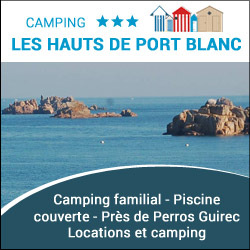 In Britain, our campsite in the Côtes d'Armor, camping label quality is 2 km from the beaches and Port Blanc. The 123 pitches are shaded and surrounded by hedges. We will offer mobile-homes rentals. On this site you will find a semi-covered heated pool with 3 pools, a spa with sauna, massage room and jacuzzi, a multitude of activities: Mini golf, bowling, Breton games, multi-sports field, Table football , Billiards, TV room, free wifi, bicycles, DVDs, board games. The area is rich in exceptional sites to see or visit. The island of Brehat, Paimpol, Perros Guirec or the 7 islands, protected nature reserve are essential places. Come relax.